9 years regional manager banking role leading the strategy development and its implementation through the growth and development of 110 staff. Predominantly rural client base of 6,000 located throughout the top third of New Zealand. A selling to needs culture underpinned achieving a 41% market dominant position. 24 years in voluntary Surf Life Saving roles from club to national level – operational, competition and governance. 4 years coaching, member International Coach Federation. An example of how coaching is utilised is in succession planning with large scale ($10m+) rural clients. Coaching at all levels; uncovers dreams, desires and aspirations of multi generational family members; facilitates a vision that all can accept; delivers meaningful action plans; facilitates involvement of expert professionals and delivers and results that all family members can live with as fair. Matthew’s specialist fields are in; self leadership, leading others, Work:Life Choices, change management, strategic planning, facilitation, motivational speaking and succession planning. He has led at the coal face, he has been through significant personal challenges, he knows how leadership works and he is passionate about using his leadership coaching skills to develop sustainable change in people, teams and organisations. 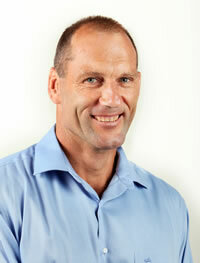 Current board member of; a 460 student year 0 – 6 school and the 600 member Papamoa Surf Life Saving Club.